January to June 2017: Mercedes, BMW and Porsche had record sales worldwide while Volkswagen sales were flat and Audi sales were down. The first semester of 2017 was another good six months for most German luxury and premium car brands with strong sales worldwide and in China. Mercedes Benz, BMW and Porsche all had their best first half year ever in 2017 with record sales worldwide and in China. Volkswagen sales were flat worldwide and in China while Audi had an uncharacteristically weak performance in China and as a result negative figures overall. Mercedes Benz was clearly the best-selling German luxury brand worldwide while BMW delivered over a million cars for the first time ever during the first half of a calendar year. **BMW figures for China, USA & Germany include Mini. Statistics and definitions as per individual car manufacturers. Mercedes Benz continued to enjoy record sales worldwide and in China in 2017. June 2017 was the best month ever for Mercedes Benz, April to June 2017 the best quarter ever for Mercedes Benz sales and January to June 2017 the best semester ever for Mercedes Benz deliveries worldwide and in China. 2017 may end as the 7th consecutive year or growth in Mercedes Benz car sales worldwide and in China. Worldwide during the first half of 2017, Mercedes Benz sales increased by 13.7% to 1,144,274 deliveries. Mercedes Benz had strong growth in China where deliveries increased by more than a third to 292,679 cars – more than Mercedes Benz sold in the full year 2014. Mercedes thus surpassed Audi in sales in China and was only around 500 cars behind new market leader BMW-Mini but almost certainly ahead of the BMW brand alone. The USA remained the second most-important single country market for Mercedes Benz. This was the only major market where Mercedes Benz failed to increase sales thus far in 2017: US deliveries were flat at -0.5% to 161,960 cars. In Europe, still the most important region for Mercedes Benz, sales increased by a strong 9% to 484,120 deliveries. In Germany, deliveries were up by 6.3% to 151,790 cars. Actual registrations of new Mercedes Benz cars in Germany were even higher at 167,208 cars (+6.6%) during the first six months of 2017. Worldwide sales of Smart cars were down 4.9% to 69,874 deliveries with new record sales in China and the UK. Like Mercedes Benz, BMW also had its best first semester ever in 2017 and seems set for a 7th consecutive year of sales growth in both China and worldwide. During the first six months of 2017, the BMW Group delivered 1,220,819 cars (+5%) worldwide including brands BMW with 1,038,030 (+5.2%), Mini with 181,214 (+3.6%) and Rolls Royce with 1,575 (-6.5%). BMW electric car deliveries increased by 80% to 42,572 cars. BMW announces country figures only for the combined group brands. 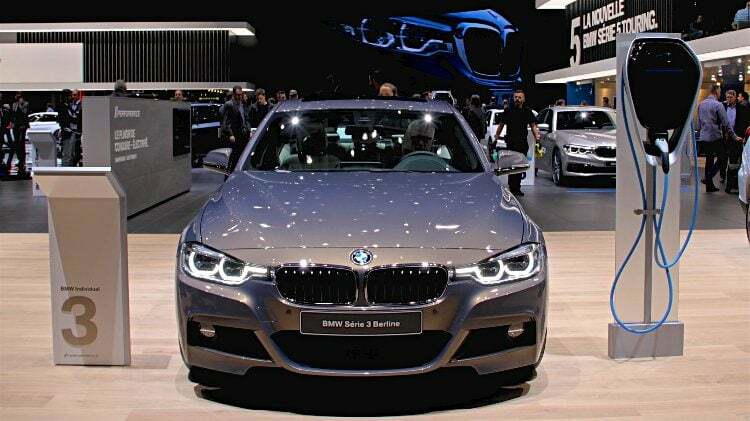 An uncharacteristically weak performance by Audi in China allowed BMW-Mini to claim the top position as China’s favorite German luxury car brand. As these figures include Mini, some may see Mercedes Benz as the true leader after Audi’s slip up in the world’s largest car market. The BMW Group was the worst performer of the German luxury car brands in the USA with sales down by 4.1% to 171,291 cars. In Germany, deliveries were down by 1.4% to 156,104 cars. Actual registrations in Germany were weaker for BMW – down 2.8% to 131,408 cars – while Mini increased by 5.9% to 23,454. Porsche also had a record first semester when worldwide deliveries increased by 7% to 126,497 cars. In China, sales improved by an even stronger 18% to 35,864 cars. In Europe, Porsche sales improved by 6% during the first half of 2017 to 42,972 deliveries. In Germany, a new record first half year saw a 1% increase in deliveries to 15,474 cars. In the USA, Porsche’s second largest country market, sales improved by a more moderate 3% to 27,568 cars. Porsche sales were helped by a strong increase in deliveries of the Macan. With more than 50,000 deliveries the Macan is by far the most successful Porsche model in sales terms. The Macan was followed by the Cayenne with 35,601 deliveries worldwide. Audi’s worldwide sales during the first half of 2017 were down 4.7% to 908,950 cars compared to 953,293 cars during the first semester of 2016. The decline was almost entirely due to weak sales in China. The “extraordinary effects associated with the strategic alignment of Audi’s China business” were blamed for the weak performance of Volkswagen’s premium brand this year in the world’s largest car market. Audi sales in China during the first half of 2017 were down 12.2% to 254,785 deliveries – around 45,000 cars fewer than during the first semester of 2016. Both BMW and Mercedes Benz thus outsold Audi in China for the first time ever in 2017. In the rest of the world Audi did better but without a stellar performance in Europe, Audi’s main market. In Europe, sales increased well below market average at only 0.8% to 458,900 cars. In Germany, Audi deliveries were up only 0.9% to 167,620. Actual registrations in Germany were down 3.1% at 154,485 cars. In the USA, Audi sales improved by a stronger 6.2% to 102,971 cars – well ahead of the broader market but the actual unit numbers remained low. Volkswagen branded vehicle deliveries during the first half of 2017 increased worldwide by only 0.3% to 2,935,100 cars and in China by 0.2% to 1,395,500 cars. Volkswagen’s problem markets during the first half of 2017 have been Europe and particularly Germany. In Western Europe, VW sales were down 2.6% to 763,800 deliveries with the German market down by 5.5% to 278,500 deliveries. Actual VW registrations in Germany were down 3.8% to 332,876 cars. The total German new car market expanded during the first semester of 2017 by 3.1% meaning VW’s share slipped by more than 1.5% to 18.6% – the first time in years that Volkswagen had less than a fifth of the German new car market. In the Americas VW performed better thus far in 2017 than a year ago. In the USA, sales improved by a strong 8.2% in a shrinking market to 161,200 deliveries. In South America, sales improved by 12% to 201,300 deliveries. VW sales mid-year 2017 were also much improved in most markets compared to the full semester. In June 2017, VW had double-digit growth in amongst others Russia, North America, the USA and South America. In the important Chinese market sales improved by 5%.